Beam me up, Scotty! The Star Trek: Discovery trailer is here, and it looks EPIC. Well, after what has felt like forever, we’ve finally got a taster of Star Trek: Discovery, and we’re totally ready to head into space. 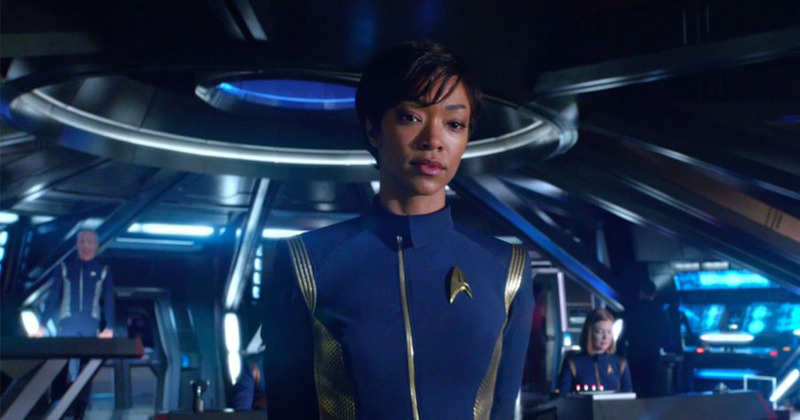 Set a decade before the events of the original Star Trek TV series, Discovery follows First Officer Michael Burnham, played by Sonequa Martin-Green, as she is given her own ship to command by Captain Philippa Georgiou, played by Michelle Yeoh. The TV show also stars Harry Potter star Jason Isaac, as well as The Office actor Rainn Wilson. The trailer teases a brand new starship, as we’re introduced to Lt. Saru, played by Doug Jones, who is part of a new alien species that can sense death. We also get a look at the ominous threat of the Klingon Empire, which is rather exciting. It all looks pretty dramatic, and we’re totally onboard with it. If that wasn’t enough excitement, CBS announced that they were ramping up the episode order for the new prequel TV show, too, ordering a further two episodes, taking the count from 13 to 15. There will also be a companion after-show (! ), and to top it all off a brand new poster for the show was released.